How you are dressing for job interviews is crucial. Your outside appearance is your first impression to a potential employer. Overlooking this area could be costly. After all you put a lot of effort to land the interview in the first place. 1. Know your audience. If you happen to know someone who is already working in the company find out the company’s dress code. If that is not possible inquire with someone in a similar field. 2. It is better to over dress than to under dress. When dressing for a prospective employer and you are not sure of the dress code, dress more on the formal side. 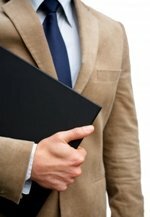 Dressing formally will give the impression of being serious about the job, whereas under dressing may suggest you are unprepared or under qualified for the position. 3. Keep it simple. Unless you are interviewing for a job that requires you to express yourself creatively through your clothing, dress yourself with the basics. Stick to black or grey dress pants and a solid coloured dress shirt. 4. Do not skip the finishing touches. How you wear your clothing is just as important as what you are actually wearing. When choosing an outfit for the interview, plan ahead to make sure your clothing is ironed, hemmed and stain-free. Choose simple jewelry or none at all. Do not attract any unnecessary attention to yourself. Remember dressing to impress an interviewer will not guarantee you landing a job, however, do not let it be the deciding factor not to get it. Click here for more valuable career advice.